Amazing news for all our Mahatmas. We are immensely happy to present the ‘Dada Bhagwan’ app to you, for your Android mobiles (and coming very soon for iPhone and iPad as well). 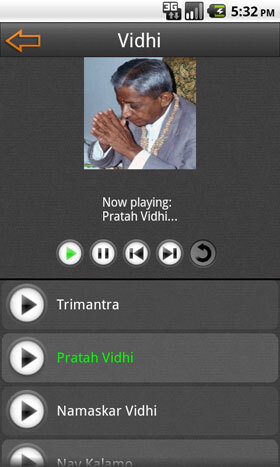 Now you can access all the treasures of Param Pujya Dadashri’s Akram Vignan right from your mobile or tablet. 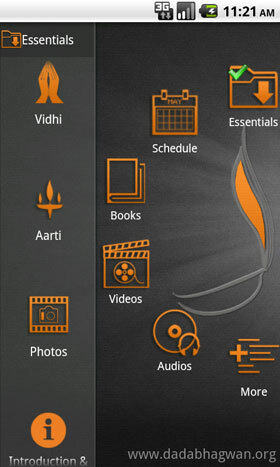 With a light and simple interface you can get instant access to the latest satsang media of Param Pujya Dadashri, Pujya Niruma and Pujya Deepakbhai in the form of books,photos, audios, videos directly onto your mobile over the internet. 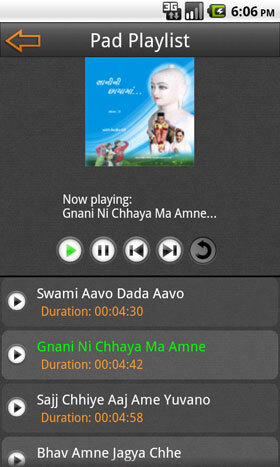 ‘Dada Bhagwan’ app for the android platform is now available on Google Play. Each module is further divided into sub-modules. Let’s take a look at the sub-modules in detail. Essentials are for daily recharging of the Awareness. This module contains audio and pdf of Vidhis,Aartis as well as Photos of the Gnani. Also this module is available without an internet connection. Remain informed about the upcoming Gnanvidhi and Satsang programmes by Pujya Deepakbhai. 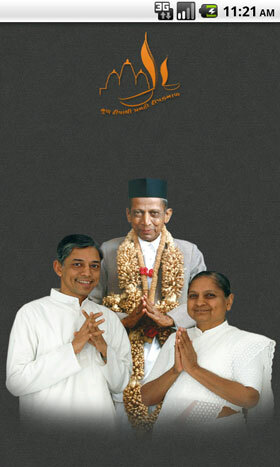 Download, read and share various books on Param Pujya Dadashri’s Akram Vignan published in different languages. Also get all the Dadavani Magazines. This module also brings YNET Magazine and Akram Express especially for youth and kids. 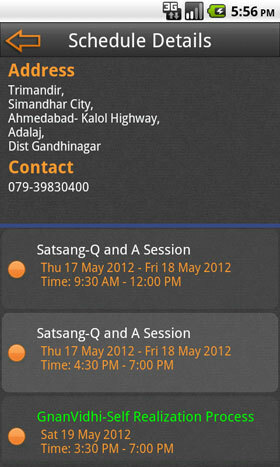 The most awaited feature and by Mahatma’s demands this module brings to you Satsang Videos right onto your Mobile. 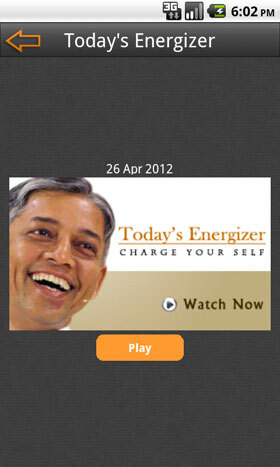 Video Module contains Vast collection of satsang videos, Today’s Energizer, Recent Satsangs, Samayiks, Gnan Experiences and Event Highlights. Indulge in bliss with Bhakti Pado and Listen to Param Pujya Dadashri’s recorded satsangs in his own voice in the Gnanvani module. 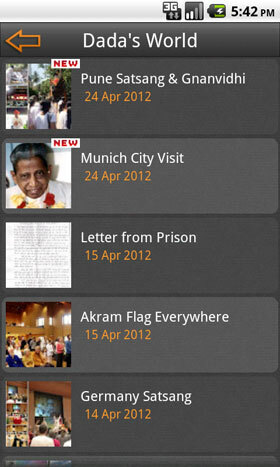 Keep track and get the glimpse of latest events on Dada’s world and photo gallery. * Today’s Aptasutra â€“ The Daily tonic of Gnan from Param Pujya Dadashri. * Quick Links for Mahatmas and Kids. * Get connected to us via Contact Us and Follow Us Sub-Modules. So what are you waiting for! Download right away and ‘Stay connected with the God within you’. Coming soon on the Apple App Store for iPhone and iPad.